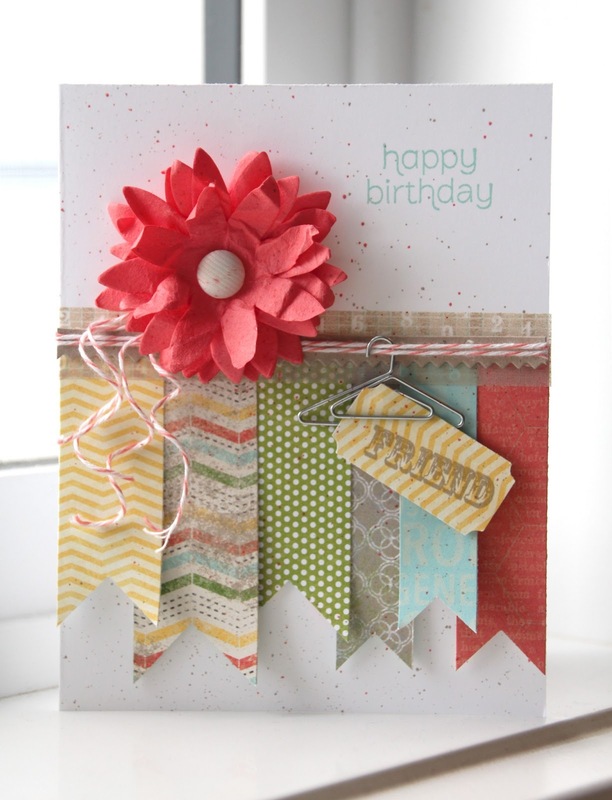 Welcome to this weeks Artisan Design Team blog hop! This week we are featuring the projects we shared on facebook for the month of April. You hopefully have arrived from the oh-so-talented Wendy Weixler's blog. If not, keep clicking on the button at the bottom of each blog post and hop to work your way back around. This weeks project is a card that features the Pop-Up Posies Designer Kit, Sunshine & Sprinkles Designer Series Paper and the Epic Day This and That Designer Series Paper. The flower from the Pop-Up Posies Designer Kit was the perfect addition to this card. It was so easy to put the flower together, and it added the dimension I was looking for. I got the inspiration for the color combination from the Sunshine & Sprinkles Designer Series Paper and the Epic Day This and That Designer Series Paper. My favorite part of this card is the little hanger (Cute Clips) with the saying.